There is a wealth of great Champagne just below the Tête de Cuvée category, and some of the most affordable in this range are even vintage releases. If you’re only familiar with the prestige names, you might be surprised to learn just how many truly exciting, interesting and unique Champagnes there are available at a retail price point below $100. 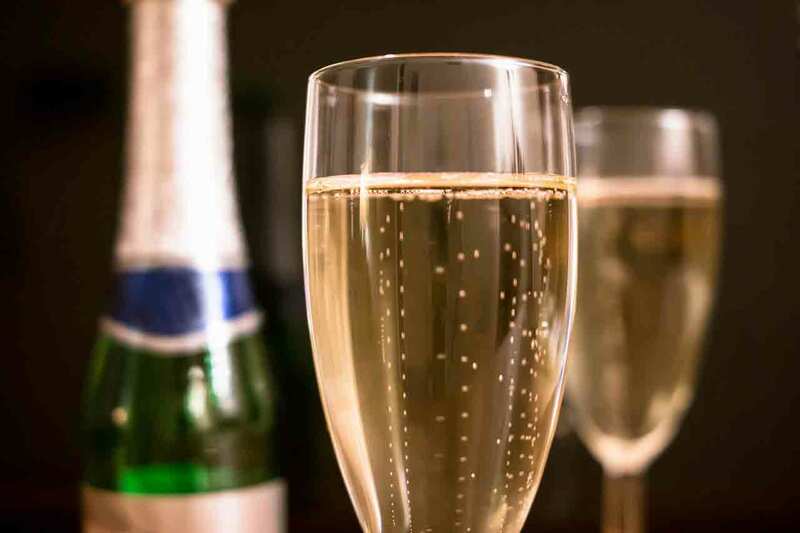 GAYOT’s Best Celebration Champagnes Under $100 list focuses specifically on those wines worthy of marking a special occasion without breaking the bank. 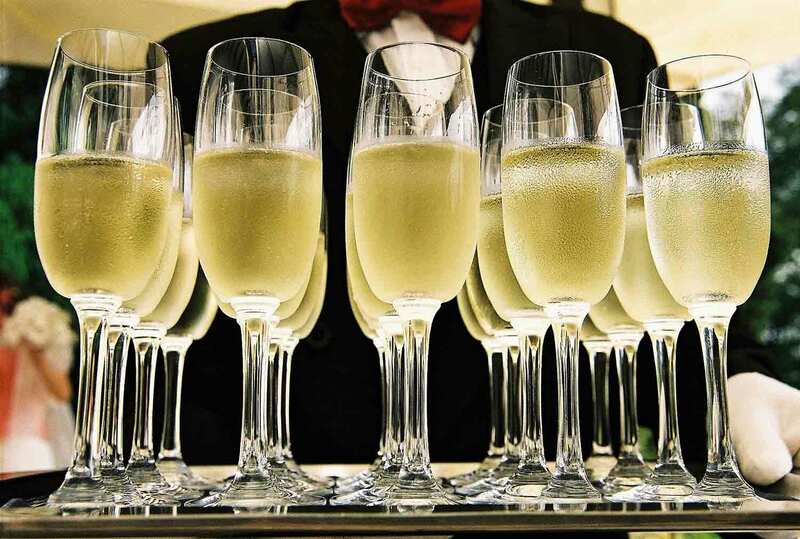 We love these Champagne recommendations and hope you view them as a jumping off point to explore the decadence there is to be had from affordable Champagnes. 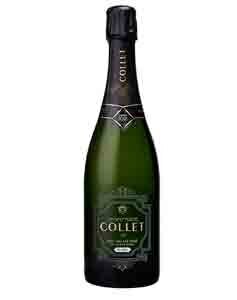 The history of Champagne Collet is really the history of modern Champagne. The label, established in 1921, was part of a collaboration of Champagne growers looking to protect the integrity of their wine region. The winery came to be at a time when fraud and unregulated winemaking practices threatened to ruin Champagne. This revolution of growers, and the new brand, was instrumental in reining in fraudulent practices and upholding the level of winemaking excellence for which Champagne is known. The Vintage Brut Collection Privée is a wine that has the ability to transport you to another place and time. Close your eyes and you can easily imagine yourself sipping this wine among the famous faces in Hollywood’s Golden Age or perhaps in the grand dining hall of the Titanic. It’s an elegant and formal Champagne — and we mean that in the best way. Sophisticated and well balanced, it offers aromas of fall fruits and a faint roasted nut. It caresses the palate with delightfully tiny bubbles and finishes with a lingering hint of freshly baked pastries. For more information, visit Champagne Collet official website. Bollinger is a Champagne house with an almost 200 year legacy, and it is one of the few great Champagne houses that is still independently owned. Although the winery creates several highly regarded Champagnes, including a prestige cuvée, the wine that is felt to embody the house style is the non-vintage Special Cuvée. This is another one of those wines that just makes you feel more sophisticated for drinking it. 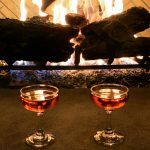 The Special Cuvée is a grand, old-fashioned Champagne — and again, we mean that as the highest of compliments. The wine begins with a fine mousse and complex aromas of rising bread dough, crisp apples and hints of vanilla and spice. Plush and full-bodied, it offers lemon zest acidity and just a hint of roasted nuts. It is a wine that offers a level of sophistication well above its price point. For more information, visit Champagne Bollinger official website. Gaston Chiquet is a Champagne house with a distinctive philosophy. None of their wines, picked only from Premier and Grand Cru vineyards, are ever aged in oak. Instead, this family-run winery prefers to let the texture and body of their wines come from the fruit. This is the kind of wine that, once you start, you can’t stop drinking it. 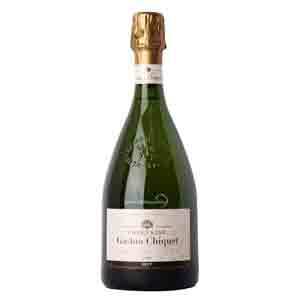 It makes GAYOT’s list of the Best Celebration Champagnes Under $100 for its vibrant energy. It offers fresh, citrus notes that are positively invigorating, but the citrus manages to harmonize with hazelnut, apple and quince flavors to give the wine nice balance. Gaston Chiquet has released the 2011 Special Club, but the 2009 is what’s currently most available. The wine tends to be consistently crowd pleasing, so you’re sure to have a winning pick, whichever vintage you find. For more information, visit Champagne Gaston Chiquet official website. Moët & Chandon is one of the most influential houses in all of Champagne. It was founded in 1743 and flourished when the concept of vintage Champagne was introduced almost 100 years later. This esteemed brand merged with Hennessy Cognac and later with Louis Vuitton to create what is considered the world leader of luxury brands. 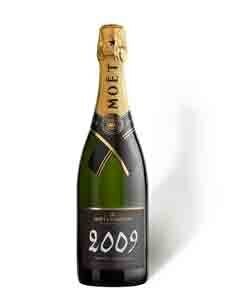 The 2009 Grand Vintage Brut beautifully demonstrates this luxury branding. It is a plush wine. A sensationally complex Champagne for the price, it offers a fine stream of bubbles and an underlying oiliness on the palate. Its aromas hint at sourdough, apricots and just a touch of rose. In the mouth there’s a sweet honey element followed by an earthier note of spice with grapefruit freshness subtly peeking through. It is an opulent wine for the price and one that could be enjoyed now or cellared for a future occasion. For more information, visit Champagne Moët & Chandon official website. Laurent Perrier is a true survivor in the history of Champagne. Founded in 1812, it was nearly bankrupted both during WWI and WWII, but the house managed to survive and is one of the most recognizable brands in the world today. It is best known for its unique bottle shapes but is highly regarded for its quality. The winery only makes this wine in vintage years when they believe the grape quality to be truly outstanding. The 2007 vintage release makes GAYOT’s list of the Best Celebration Champagnes Under $100 because it is at the same time intriguing and easy-drinking. It is the sort of wine that will please a crowd but also entertain even the most jaded of wine drinkers. It offers direct lemon acidity with herbal and baking spice notes weaving in and out on the nose and palate. It finishes clean with delightful citrus freshness. For more information, visit Champagne Laurent-Perrier official website. Although it is a far smaller and lesser known Champagne house than the others on this list, Agrapart is a producer you should consider. Their Champagnes are all made from estate grapes, grown primarily in Grand Cru vineyards of the Côte des Blancs. The Agrapart approach to winemaking is to let those grapes speak for themselves. The winery employs the least invasive winemaking techniques possible and, as a result, all the wines are bottled without fining or filtering before being hand-riddled. 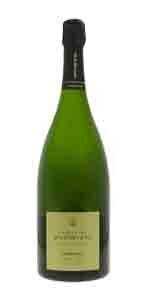 The Terroirs Extra Brut is blended from two vintages of juice coming from the winery’s Grand Cru Chardonnay vineyards. It is a wine with incredible finesse for the price, and it is almost weightless on the tongue with floral and honey notes. Yet for a wine with such an ethereal quality, it lingers with impressive length. It is our best value choice for adventurous Champagne lovers. For more information, visit Champagne Agrapart & Fils official website. 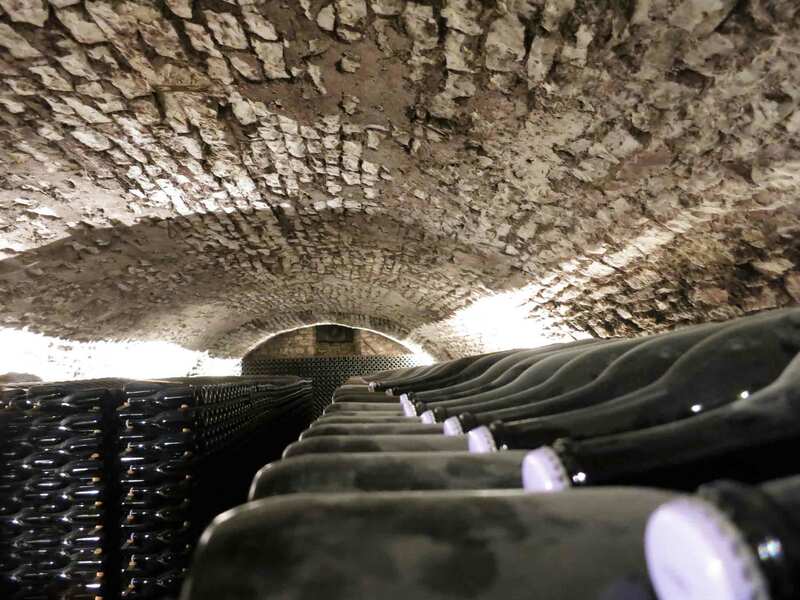 Founded in 1584, Gosset lays claim to being the oldest house in Champagne. Of course, until the eighteenth century, it was a still wine producer. Of course, Gosset’s early entry into wine production in the region meant that the house had control over some of the best vineyards, which are still used today to produce the house’s elegant Champagnes. A blend from three vintages, the Gosset Grande Réserve is a mouth-filling wine meant to pair with a meal. Its fruit flavors hint at pear and peach with a zing of lemon acidity. A sweetness near the finish gives the wine robustness as well as adaptability to serve with any sort of food, from appetizers all the way through dessert. For more information, visit Champagne Gosset official website. Since 1969, restaurant, wine, travel & other witty reviews by a handpicked, worldwide team of discerning professionals --- and your views, too.